More information about the sudden mysterious death of the 26 year old Dr. Ramin Pourandarjani who served part of his national service in the notorious Kahrizak detention centre has now emerged. The commander-in-chief of the Law Enforcement Forces, Ismail Ahmadi Moghadam, said the doctor was accused of not treating the detainees properly! Ramin Pourandarjani's mother however has said she had contacted Mohsen Rouholamini's father, Iranian official affiliated with Mohsen Rezaii's election campaign whose son was one of the many victims in the Kahrizak detention centre, and expressed her anxiety that her son was being pressurised to declare Mohsen died of meningitis and not mistreatment. 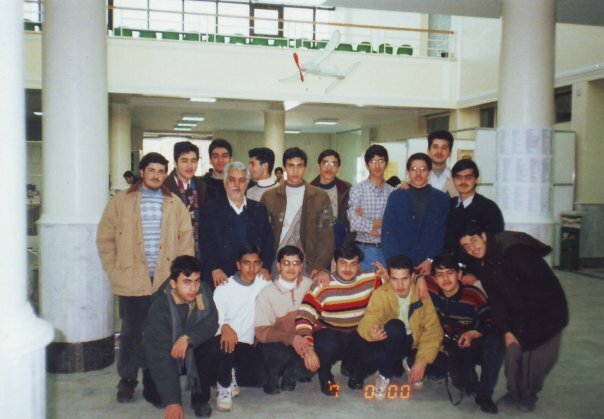 One of Ramin Pourandarjani's old school friends said Ramin talked to him on several occasions about the horrific treatment of the post-election protesters detained at Kahrizak and on one occasion he said he had complained to the prison authorities that the injured detainees were not given the medicine he had prescribed for them but instead the prison authorities had told him not to worry and just carry on writing the prescriptions. 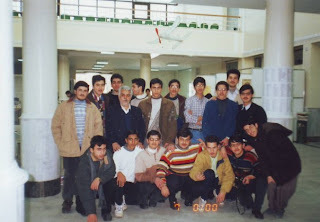 Old school photo of Dr. Ramin Pourandarjani, seen front row from the left, at the school for gifted children in Tabriz. Dr. Pourandarjani's mysterious death was covered by the Times, the Guardian and Huffington Post. Reading the various accounts, including yours, a lucid picture of an accomplished man of honor and conscience emergence. Rest in peace, Dr. Pouandarjani.